The fourth generation Ford Focus puts its maker right back into contention in the family hatchback segment, with smarter looks, much improved interior quality and extra technology. There's also what Ford claims to be class-leading levels of safety. And greater efficiency beneath the bonnet from a completely rejuvenated range of engines, including the 1.0-litre EcoBoost petrol unit we look at here, which gains efficient cylinder deactivation technology. The best part though, is that this car still remains as rewarding to drive as it's always been. The Focus might have grown up but it certainly hasn't lost its spark. 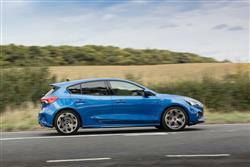 This fourth generation Focus is about the same size as before and though this lighter, stronger bodywork may not look too different, it clothes an all-new C2 platform that enables a longer wheelbase that for the first time allows this car to offer properly class-competitive rear seat room and luggage space. Much has changed beneath the bonnet too, with clever cylinder deactivation for petrol models like the 1.0 EcoBoost variants. Also new is the much higher quality cabin which features half the number of previous buttons. On top of all that, the brand claims class-leading camera-driven safety standards too. This car does, in short, promise the kind of significant step forward that'll be absolutely necessary if Ford is to retain its place amongst the sales leaders in this segment. Time to put this car to the test. 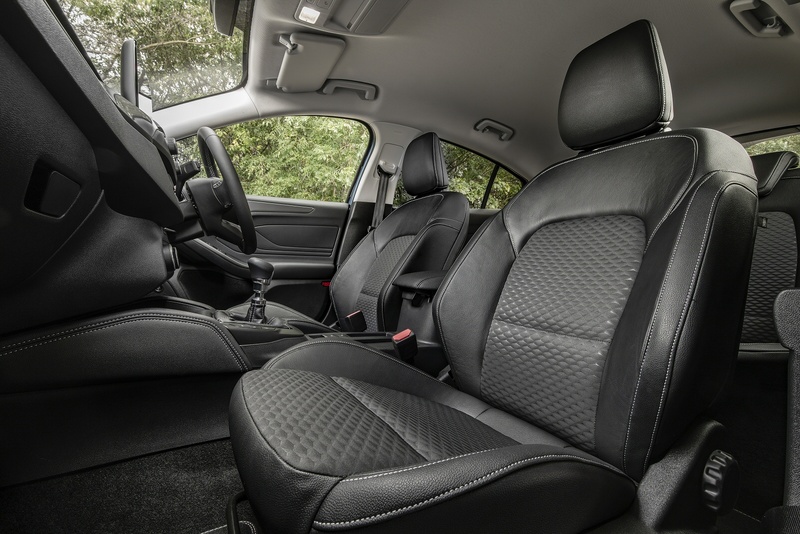 This fourth generation Focus, like its predecessors, has a reputation as a family hatchback with the ability to entertain at the wheel - and if you enjoy your driving, that's something you'll appreciate pretty early on the first time you try one. Twenty years ago, the original version of this model achieved much the same thing by standardising advanced multi-link rear suspension across its model line-up. Today, you only get that on the most powerful 1.5-litre EcoBoost petrol and 2.0-litre EcoBlue diesel variants. If, on the other hand, you go for the 1.0-litre EcoBoost petrol engine we tried - as the majority of buyers will - then the damping's a little different. 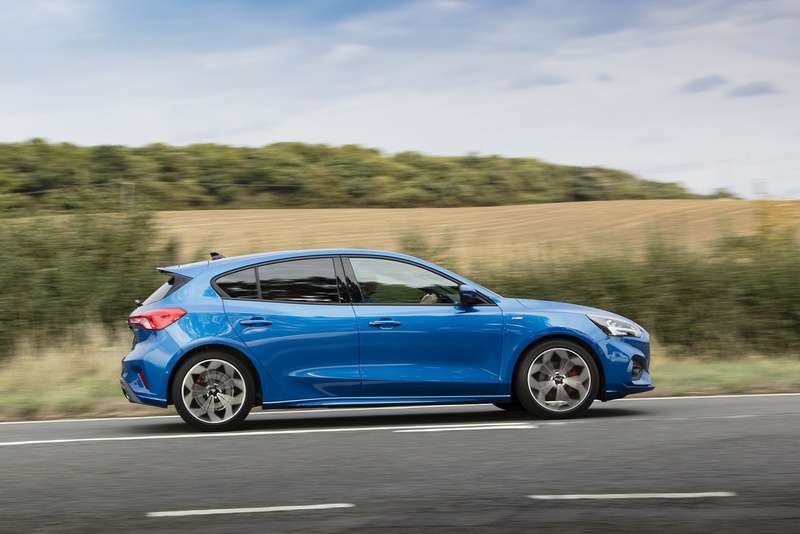 These volume models come with a much less sophisticated torsion beam arrangement, though Ford has embellished it with the clever 'force vectoring' rear axle springs that it first developed for its Fiesta ST hot hatch. As a result, the ride isn't overly firm, but body control through the bends is still exemplary, allowing you at the wheel to make the most of the stiff new C2 platform, the feelsome power steering and the torque vectoring control system that helps you get the power down through the bends. It all combines to create a car that really can still reward at the wheel, even in its most affordable forms: there's still nothing else in this segment that feels quite the same. Yet it still does the sensible stuff well too, being decently refined, with confident braking and a lovely tactile gearshift. Most tend to go for the 1.0-litre unit we tested, offered with either 85, 100 or 125PS. 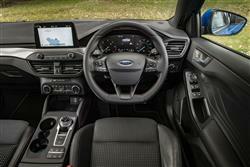 All get a driving modes system which offers three settings - 'Eco', 'Normal' and 'Sport'. The quickest 125PS 1.0-litre powerplant can be ordered with the option of Ford's latest 8-speed auto gearbox, which adapts to your driving style. Here's a car that's grown up - matured - in almost every way. 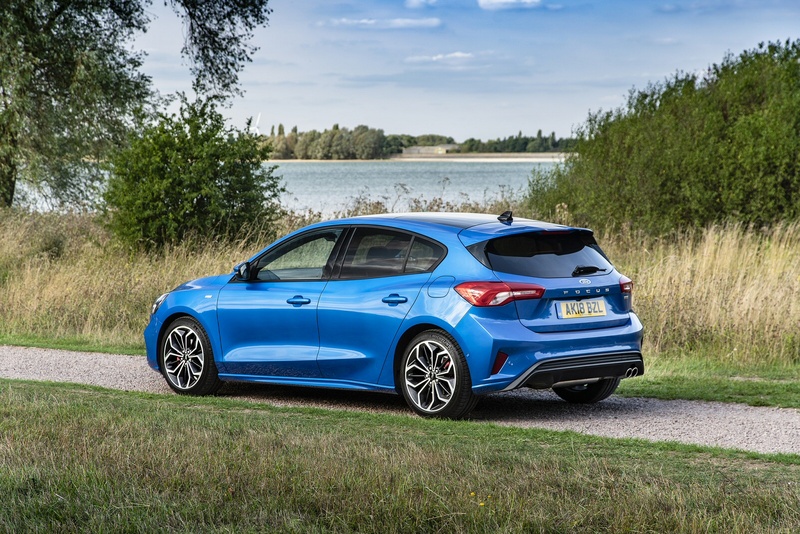 You might, like us, wish that Ford had been a touch more adventurous about this fourth generation Focus model's design, but you can see at a glance that it better meets the key criteria for the kind of car a family hatchback should be. The wheels are further apart, the glass area's larger, the overhangs shorter, all of this part of the brand's current 'human-centric' design philosophy. To some extent, that works. 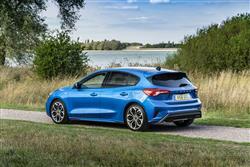 Put this improved Focus next to its predecessor and it certainly looks a more expensive proposition. Up-front inside, the dashboard has been pulled forward and there's a slimmer, lower centre console, plus that new body shell has freed up more room for shoulders and knees. As a result, you no longer feel quite so hemmed-in at the wheel, but by the same token, there's also slightly less of the cockpit-style positioning that we rather liked before. You can't fault the cleaner, sharper ergonomics though, aided by a massive 50% reduction in button clutter, with as many functions as possible relocated to a prominent SYNC 3 infotainment screen that, in keeping with current automotive fashion, sprouts from the top of the dash. There's now proper rear seat space, thanks to that extended wheelbase. And a properly-sized boot, which can be up to 375-litres in size. Ford claims to have been a little more realistic with pricing this time round, pointing to a range starting figure which from launch was around £18,000 for the cheapest 1.0-litre EcoBoost version. This powerplant comes in three forms, available with either 85, 100 or, as we tested, 125PS. The variants that most will actually want don't undercut their direct predecessors by all that much, selling in the usual £20,000 to £25,000 bracket. 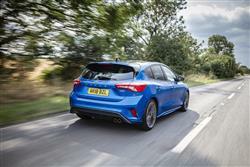 As before, there are two body styles, the usual five-door hatch or, for a model-for-model premium of £1,000, a more versatile estate option. An 8-speed automatic gearbox is an option on 125PS EcoBoost models - for an extra £1,350. 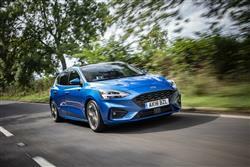 Ford claims to have reduced the number of orderable Focus configurations by 92% this time round, but the vast model line-up still takes a bit of getting your head around. Basically, in the mainstream range, there are a couple of budget-minded model lines ('Style' and 'Zetec'), then three luxury-orientated variants ('Titanium', 'Titanium X' and top 'Vignale'), plus a couple of 'Sport' models ('ST-Line' and 'ST-Line X'). There's also an SUV-style 'Active' version with crossover styling cues and a raised ride height. It's obviously crucial for Ford to get its cost of ownership sums right, hence the changes made to the engineering of this fourth generation Focus that see improvements of up to 10% in fuel efficiency across the range. A key factor in achieving this has been the introduction of cylinder deactivation technology on the three cylinder petrol powerplants that the majority of buyers will probably choose. You might be familiar with this sort of thing from larger engines but if you're not, we'll tell you that at less than 50% throttle and between 1,500 and 4,500rpm, one cylinder is shut off, improving fuel consumption (so Ford says) by as much as 6%. 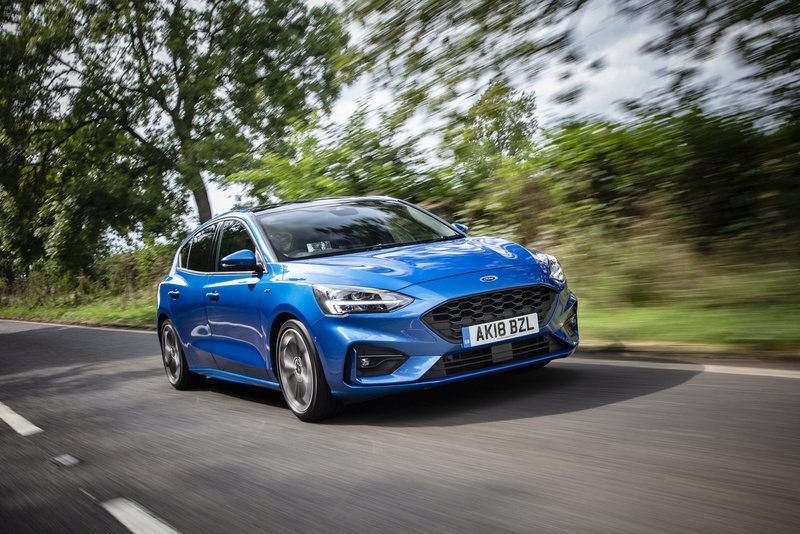 Let's get to the quoted readings for the 1.0-litre EcoBoost petrol 100 and 125PS petrol derivatives, all of which we'll quote on the basis of a five-door hatch variant with manual transmission and the smallest wheels available for any given version. Starting with the 1.0-litre EcoBoost petrol 100 and 125PS petrol derivatives, which tend to be the most popular in the range. These respectively manage 60.1 and 58.9mpg on the combined cycle and around 108g/km of CO2. The base 85PS version of this engine manages 58.9mpg and 110g/km. If you�re looking for a new Ford Focus 1.0 EcoBoost 100 Zetec 5dr Petrol Hatchback for sale, you�ve come to the right place. 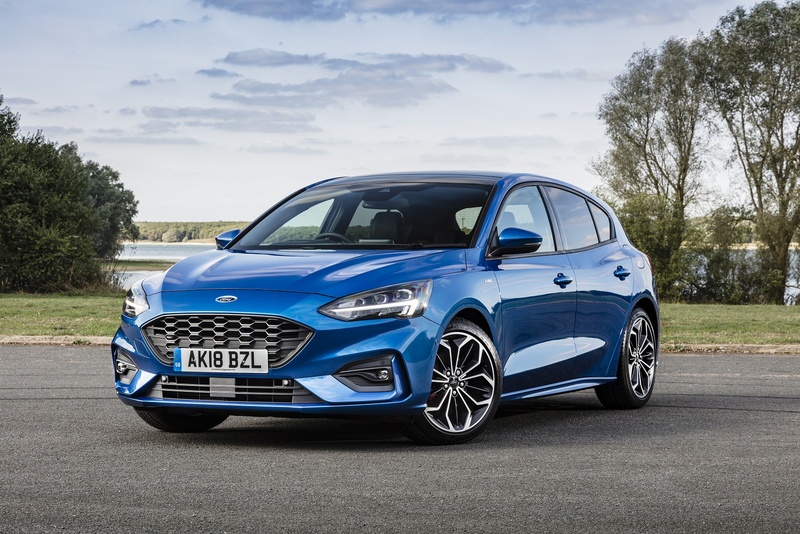 At Bristol Street Motors we don�t just have the best Ford Focus 1.0 EcoBoost 100 Zetec 5dr Petrol Hatchback deals, we also offer friendly advice and help with all your enquiries to ensure your buying experience is a happy experience.